Gong Yoo is playing dual roles in KBS 2TV Monday and Tuesday drama “Big“. The change of his hairstyle reveals the identity of character that is making appearance in the drama. The high school student Kang Kyung Joon occupies the most scenes. Gong Yoo at this time will put his bangs down, and appears more in casual style, perfectly portraying the overweening personality of Kang Kyung Joon. And when Seo Yoon Jae appears, Gong Yoo will comb the bangs up, revealing the forehead, portraying the image of 30-year-old successful man. Both styles is very appropriate with the characteristics of the characters in the drama. 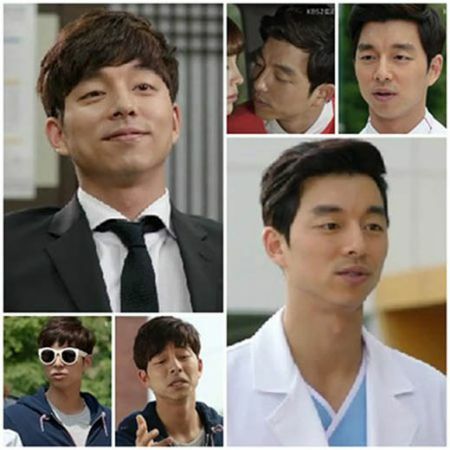 Gong Yoo interprets rightly the two roles with distinctive styles, winning the praises of audience. Audience said, “Seo Yoon Jae is handsome, and Kang Kyung Joon is lovely,” the drama is supported by Gong Yoo,” “How to wait until next week, Gong Yoo is too handsome,” and so on.